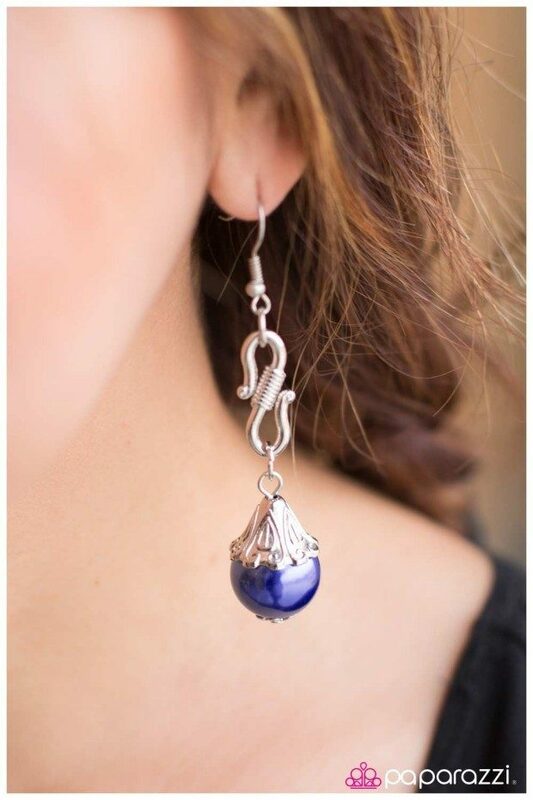 A cascading strand of silver chain, decorated by tiny blue gems and beads gives way to a larger blue teardrop in an opaque finish. A single blue pearl swings from the bottom of an elongated s-hook that has been wrapped in texture. A large silver disc is hammered with light-catching texture on one side and dipped in a vibrant yellow finish on the other, creating a bold combination. 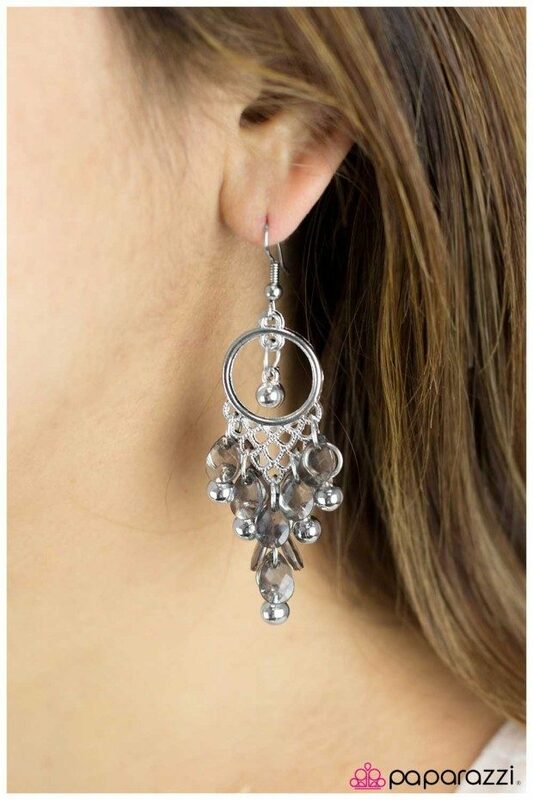 Translucent teardrops with light-catching faceted edges combine with tiny silver beads in a high sheen finish to decorate the border of an ornate silver frame. A single silver bead is suspended inside the frame, adding additional shine to the design. 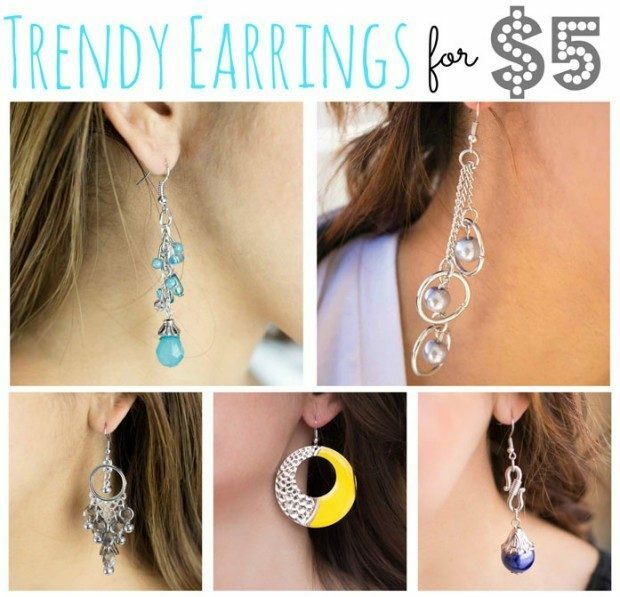 Three silver hoops swing from the bottom of three separate strands of silver chain in varying lengths. A single pearly bead is suspended inside each hoop, adding dimension to the piece.